(CNN) A third wrongful death lawsuit was filed Tuesday in connection to a University of Pittsburgh Medical Center mold outbreak. This is the latest death in the wake of five other known deaths since October 2014 linked to heavy mold growth found in the linens at two University of Pittsburgh Medical Center hospitals, according to a report. The newly filed wrongful death lawsuit alleges that a third UPMC hospital, Shadyside Hospital, is a part of the outbreak. Paris Companies was contracted to provide linens for all three of the hospitals. A previous internal report by the hospital system suggested that the five deaths were linked to a mold outbreak due to contaminated linens at UPMC Presbyterian and Montefiore hospitals. The report conducted in May of last year did not become public, however, until January 2017 when it was submitted as evidence by lawyers for UPMC in two previously filed wrongful death lawsuits against the hospital system. The latest death, 65-year-old John Haines, died October 7, days after contracting a rhizopus-positive pneumonia infection, according to a Pennsylvania Department of Health death certificate. Haines, a leukemia patient, was receiving chemotherapy at Shadyside Hospital, and was moved into the intensive care unit three days before his death. Within 24 hours of his stay in the ICU, he contracted the fungal infection, according to medical records. Haines received a letter from Shadyside Hospital personnel the same day he died acknowledging that he had developed an infection during his stay at the hospital. In the letter from a patient safety officer, the hospital recommended Haines reach out to UPMC's Infection Prevention and Control Department. The civil complaint filed with the Allegheny County Court of Common Pleas alleges that Haines contracted the rhizopus infection due to contact with the Paris Companies linens provided him in the intensive care unit. Haines died five months after UPMC officials were notified of an outbreak in their hospitals by an independent researcher contracted to test facilities where five other patientsdied of infection-related causes. Hospital environmental specialist Andrew Streifel also found rampant mold at the contracted Paris Companies' laundry facility, according to the report. The hospital system continues to contract its linens from Paris Healthcare Linens, according to spokeswoman Allison Hydzik. Paris Linens maintains that the linens were not the cause of the outbreak. "Paris Companies consistently meets or exceeds accreditation standards and regulatory guidelines for laundering linens, which demonstrates our ongoing commitment to quality and safety. We continue to cooperate with all regulatory agencies involved in the oversight of linen processing," Paris Companies CEO Dave Stern said in a statement to CNN. Lupetin is currently litigating the other two wrongful dead lawsuits for two patients who suffered a similar fate at UPMC Presbyterian and Montefiore hospitals. In the cases of two other patients who succumbed to the mold outbreak, the medical center settled without litigation for $1.35 million each. A third patient was an unnamed individual in the transplant unit at the Montefiore campus. All UPMC hospitals were included in a review following the mold outbreak in 2015, according to Hydzik, the hospital spokeswoman. Hydzik said Haines was very sick when admitted into Shadyside with leukemia and a nonfunctioning immune system, and was immediately put on anti-fungal treatment. "We have tested hospital linens at UPMC Shadyside and found no rhizopus. We are saddened by his death. Unfortunately rhizopus-related infections happen at major medical centers where the sickest of the sick are treated, despite the best possible care," Hydzik said in a statement to CNN. She added, "His family told us that Mr. Haines was an avid gardener. We explained that while it was possible he contracted his fungal infection prior to his hospitalization, we decided, however, to classify it as hospital-acquired per CDC guidelines even though clinically there can be no certainty." The complaint argues, however, that rhizopus and other mucormycosis related fungi are not common in hospitals caring for immunosuppressed patients. "It's common if an immunosuppressed person was gallivanting in the forest splashing around in leaves, but rhizopus is not common in hospitals and it shouldn't be," Lupetin told CNN. There is no evidence of an ongoing outbreak at Shadyside, according to Pennsylvania Department of Health spokesperson April Hutcheson. "The Department of Health is not aware of any mold-related deaths associated with an outbreak at UPMC Shadyside Hospital ICU. We continue to provide consultative support to UPMC and will investigate as warranted," Hutcheson told CNN. 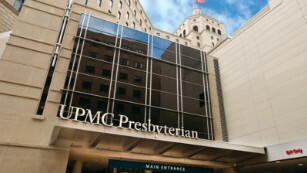 CDC officials investigated UPMC Presbyterian and Montefiore hospitals in relation to outbreaks, but did not investigate Shadyside Hospital as a part of the 2015 investigation, according to CDC spokesman Tom Skinner. "At the time of the investigation there weren't any cases associated with the cluster we were called up to investigate," Skinner told CNN. By law, as a federal agency, the CDC must be invited to investigations by the hospital system and the state department of health.